When it comes to Dorchester carpentry and remodeling services, the experts here at Pann Home Services and Remodeling can help. Each of our carpenters and remodeling technicians is trained, experienced and has the knowledge to handle virtually any carpentry or remodeling job in the area. From building a handicap ramp to remodeling your entire kitchen and living room, we are the experts to call. 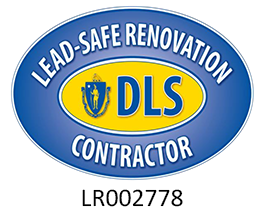 Contact our Dorchester carpentry and remodeling team for your next project at 617-864-2625! Or, if you’d like to stop by our storefront to visit our carpentry and remodeling specialists in person, you can do so at 126 Inman St. Cambridge, MA 02114! Our knowledgeable technicians offer a wide variety of flooring types to choose from. Flooring in a building undergoes a lot of wear and tear, so replacing it every few years is necessary. At Pann Home Services and Remodeling, we can install a variety of floor materials such as linoleum rolls, plush carpets, and ceramic tiles. 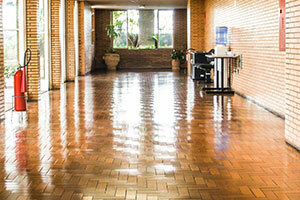 We can also repair and replace damaged sections of all kinds of flooring materials. From new floors to repairing and resurfacing an old floor, Pann Home Services and Remodeling can help. All of our flooring work is guaranteed to be done right the first time, every time. One of the most common reasons local residents contact us here at Pann is for Dorchester drywall repairs and installations. Drywall is the material that separates the wall structure and insulation from the interior space of a building. Drywall is also the surface in which walling tiles, textures, and paint will be applied. Replacing sections of drywall is a specialized process that we know how to perform. Our drywall technicians understand how to fill and repair small holes in walls or ceilings, and we can also install or replace an entire section of drywall if you need. 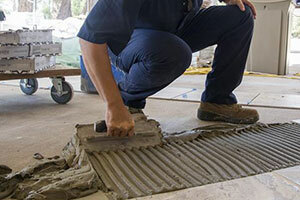 When the tiles are loose or broken in a bathroom or kitchen, property owners must have the items fixed by our experts. Tile repairs require using specific adhesives and grout so that the items remain in place for several years. Our Dorchester tile repair experts have the ability to install and replace sections of tile both inside and outside of your home and business as well. No matter the need, we have the skills and tools to make sure your Dorchester tile repair job is done right the first time, every time. Call Our Dorchester Carpentry and Remodeling Pros Today! Whether your next project requires carpentry work, remodeling, flooring or tiling, we have you covered. Our team here at Pann Home Services and Remodeling has the skill and knowledge to make your next home or business remodel job a dream come true. 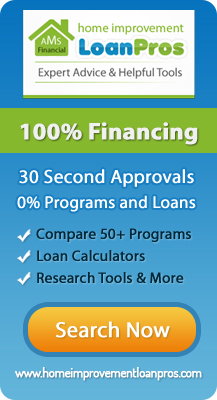 No need to put off that Kitchen, basement or bathroom remodel for one more day! Contact our Dorchester carpentry and remodeling experts today, or learn more about our services by watching the video below!